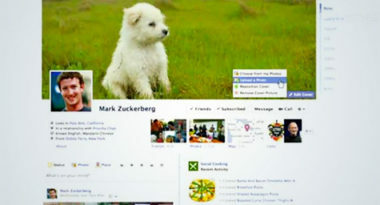 After Facebook’s initial announcement in September, the social network has officially debuted its Facebook Timeline. The rollout recently began in New Zealand and is slowly making its way to users worldwide. Mashable.com outlined the main features and functionalities of this highly anticipated addition. With Facebook Timeline, users can visually represent their life story on a single page. It allows users to chronicle their lives through photos, posts to create a virtual photo album, or biography of their life experiences. Users can get as creative as they like with their profile presentations and page layouts, using photos and digital images to create amazing visual effects. Part of the beauty of Timeline is that users can select which friends and followers are allowed to view it, which allows for greater user privacy. On the other hand, critics complain that having users put their entire lives on visual display can lead to major problems. First of all, it may increase the threat of identity theft because giving a “friend” access to your Timeline still means that anyone can view it on that person’s computer. Second, posting so much personal information in a public forum makes it easier for anyone to discover private information you may not want them to know. Finally, it helps Facebook acquire more personal user data that the company can exploit to attract advertisers. Despite those concerns, Facebook Timeline is being positioned as a fun way for users to show more of their personalities and lives though their pages. As it continues to spread throughout the Facebook community, only time will tell if Timeline will receive a friendly response. To discover how the latest social media strategies could boost your business, contact MDG Advertising.